'Biggest-Ever Free College' Program Reaches 6 Percent Of New York Students : NPR Ed Of nearly 400,000 full-time, in-state SUNY and CUNY students, fewer than 22,000 are getting the much-touted Excelsior scholarship this year. When he announced the Excelsior Scholarship, billed as the biggest-in-the-nation free college program, New York Governor Andrew Cuomo promised dreams could come true for all. "There is no child who will go to sleep tonight and say, I have great dreams, but I don't believe I'll be able to get a college education because [my] parents can't afford it." That announcement, back in April, predicted that when the program expanded to its full size, 940,000 New York students would be eligible to attend the City and State Universities of New York tuition-free. Six months later, the first numbers are out. This year, 22,000 students will be receiving the scholarship. That's fewer than 6 percent of nearly 400,000 full-time in-state SUNY and CUNY students. How can this be? The Excelsior is what's known as a "last-dollar" scholarship. That means even if students meet the requirements, it provides money only after they have exhausted other forms of funding, including federal Pell Grants and the New York State Tuition Assistance Program, or TAP. If you add all those sources of debt-free assistance up together, the governor's office reported, the numbers look much better: 210,000 students, more than half of the state's total full-time, in-state students, are now attending college tuition-free. Not everyone is celebrating that figure, though. Especially not those who applied and found out that the Excelsior offered them no more help on top of other sources of aid. Of 13,000 students at the State University of New York at Albany, just 896 are receiving Excelsior money this year, the student paper reported. "Basically, it's a scam," one student told the paper. It didn't help that SUNY schools had a $200 tuition increase this year. 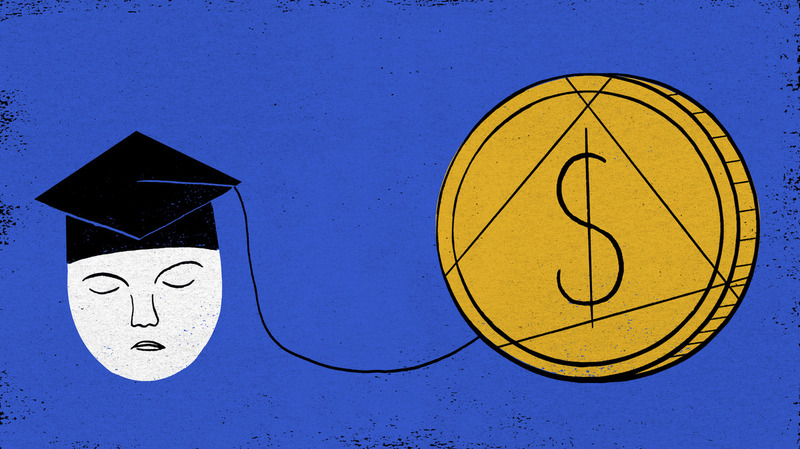 A spokeswoman for the governor told NPR: "We look forward to working with students in the coming years to expand awareness of the program so as many students as possible are able to graduate college on time and debt-free." The scholarship was announced toward the end of last school year, so there wasn't much time to apply. Also, the program is currently available to students coming from households with incomes up to $100,000, but within the next two years that will go up to $125,000, making more families eligible. Is the Excelsior a success story? It depends by what measure. Morley Winograd has been raising awareness and advocating for the spread of free college programs through the Campaign for Free College Tuition. He notes that free community college programs in Tennessee and Rhode Island have led to "huge jumps" in enrollment. "That's exactly what we hoped the power of the promise would be," he says. "You expand the number of students who take advantage of college because suddenly it's financially feasible." But, he says, precisely because New York has the "generous" TAP program already, there may not be as much low-hanging fruit in terms of students who want to go and can't afford it. It's also worth noting, when talking about financial barriers to college, that tuition is a fraction of the typical full cost of attendance; students must cover books, housing, food and transportation, all of which cost more in a state like New York than elsewhere. However, Winograd argues, programs like Excelsior have an intangible power that goes beyond the fine print. When state leaders put the promise of free college in the headlines, it may spur more students to apply. "We're talking about changing the culture to a college-going culture," he says.